A few weeks ago, the Frenchman and I went out to dinner with a friend who was in town for a visit. Despite an après-dark temperature of 100°, we decided to sit outside. Apparently we like to be uncomfortably hot. We split a selection of small plates, and ran through more than one carafe of chilled red wine. This friend (let’s call him Monsieur Macaroon, as he’s quite skilled at making them, and I’m still holding out hope he’ll teach me his methods) told a story about a recent, unpleasant trip to the French embassy. While MM does not have a classically French name, he does hold a French passport and birth certificate. As a result of his ‘foreign-sounding’ name though, the person behind the desk demanded further, written evidence of his Frenchness, before they would proceed with his paperwork. MM was indignant. What proof is there, besides a passport and a birth certificate? Besides, if you are born in the country, you are French. End of story. Where your grandfather was born is immaterial; it’s not polite to ask after someone’s parentage. That the clerk requested additional attestation was, at the very least, rude and short-sighted. His story reminds me that I can still be surprised by cultural differences. To me, MM’s experience belongs more to my parents’ generation than to mine. After all, it was my mother who was encouraged (by her Latin American parents) to leave her Latin Americaness behind. She was given a North American name (probably to avoid the exact situation I recounted above) and prompted to speak English over Spanish. Conversely, for my generation, it’s in fashion to offer an extended linage when asked, “Where are you from?” The more exotic, varied, different, the better. This notion of ‘difference as a source of interest’ has permeated the culinary Zeitgeist, too. Think about it: you can now order kimchi tacos at Applebees. Even ten years ago, the average American had never even heard of kimchi. 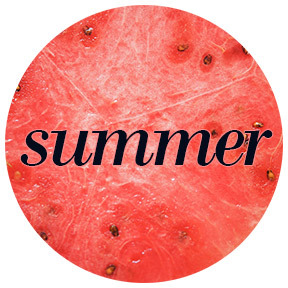 Food has become a mainstream palette for cultural bending and blending. As soon as MM finished his story, I wanted to ask the exact same question as the embassy official, albeit for different reasons. To me, national and cultural difference is mostly interesting in relation to the recipes I can exchange. Our conversation quickly turned to North African Passover dishes, and then to summer meals made by a grandmother in Israel. I typed everything he said into my phone as quickly as my warm, sauced fingers could manage. What’s central is that food brings everyone to the table. It’s a bridge across cultures, spanning geography and time. The best recipes are really just stories, bits of advice collected and organized and carried forward. 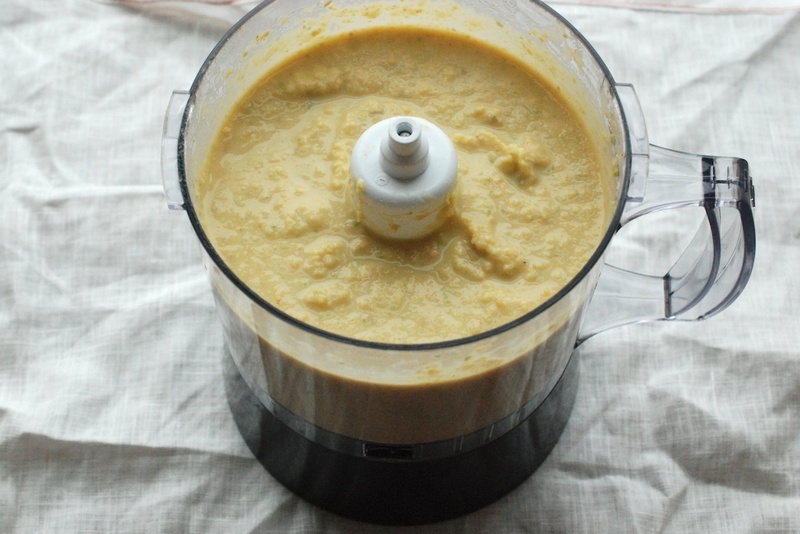 Before MM mentioned it, I wouldn’t have thought to blend fava beans into hummus, but of course it makes sense, practically (favas are a spring vegetable, and Passover is a spring holiday) and culinarily (favas and chickpeas are complementary and delicious). This hummus is very tasty with all manner of vegetables, as well as on chips, pita, or sandwiches. 1. If you haven’t already, remove the fava beans from their pods. You want about 1.5 cups of beans. 2. Set a medium pot of water on the stove. Stir in enough sea salt to make the water taste like the ocean, and then set the heat to medium-high. While you are waiting for the water to reach a gentle boil, prepare an ice bath. 3. 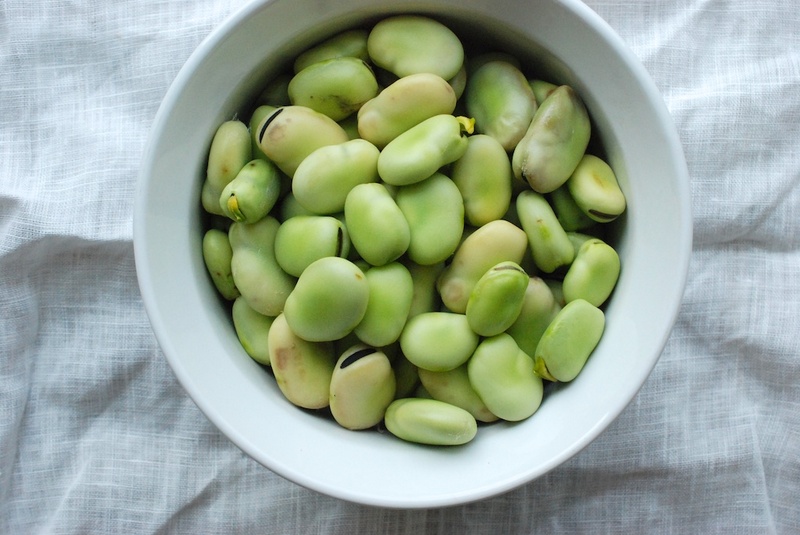 Cook the fava beans for 3-5 minutes, until they look brighter and shrivel ever so slightly. At this point, move the favas to the ice bath, to stop the cooking process. Reserve the fava cooking water. 4. 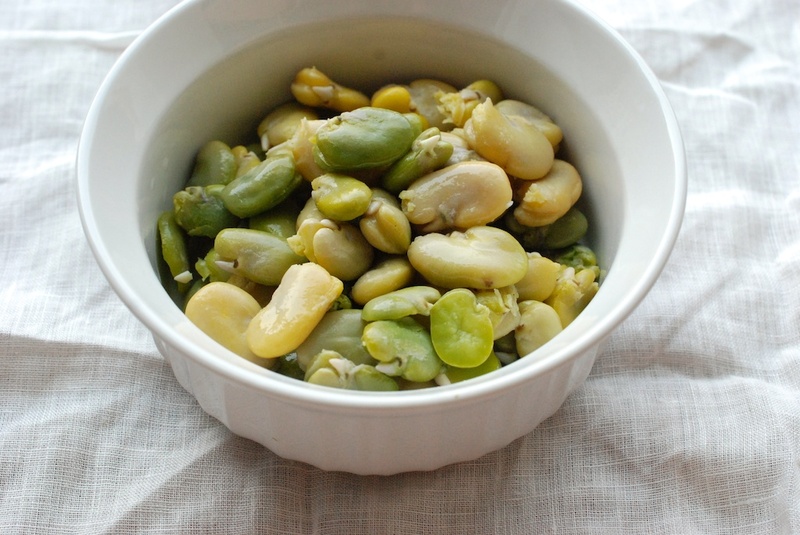 When the favas have cooled, remove each bean’s outer shell with your fingers. It isn’t difficult, but it’s a little tedious. You can do this in front of the television, or while chatting with a friend. As you work, toss each shelled bean into your food processor. 5. After you finish shelling, it’s easy. You are basically moving everything directly into the food processor. 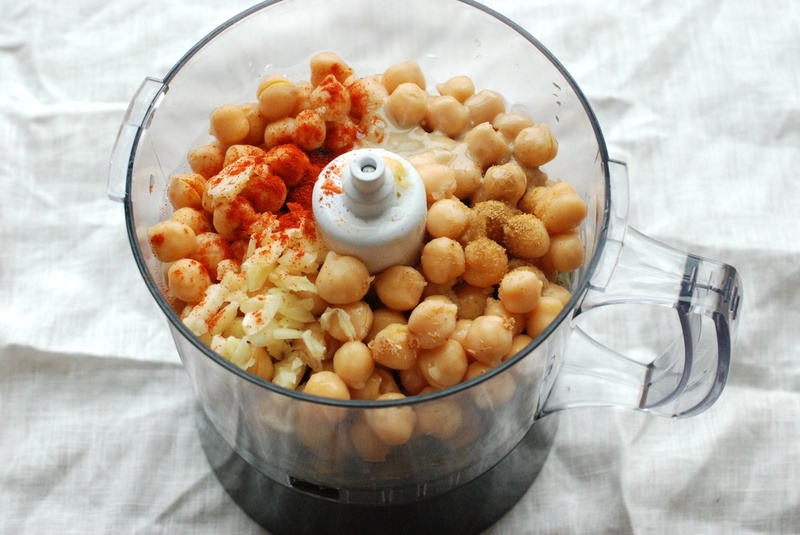 Rinse the can-goop off the chickpeas, and then add them to the food processor. Next, add: the garlic, the tahini, the lemon juice, the paprika, the nutmeg, the oregano, and 1.5 cups of the reserved fava cooking water. 6. Blend everything for a few minutes, or until the hummus is smooth. If it still seems too thick, add a little more of the cooking water to thin it out. Give it a taste; you can add more salt at this point, if it isn’t salty enough already. 7. Toast the pine nuts; I use a non-stick pan over medium heat, and it takes about 5 minutes. Just make sure to watch them carefully, and shift the pine nuts around in the pan, so they don’t burn. 8. 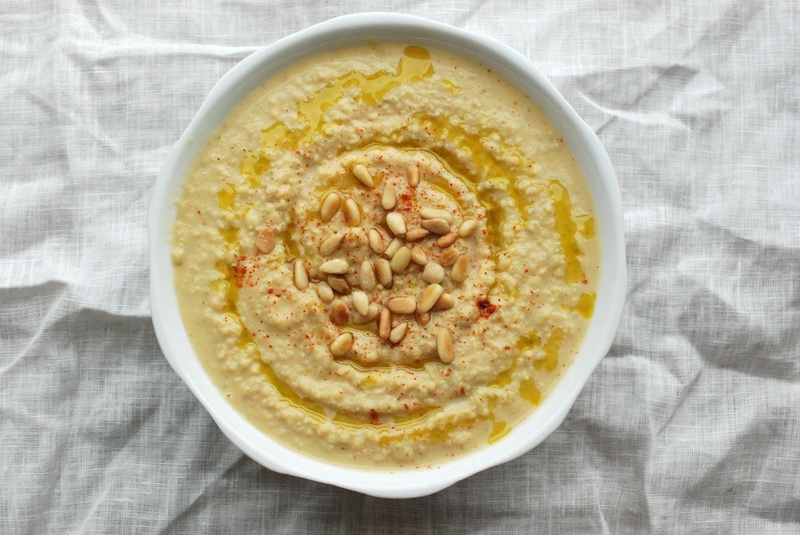 Spoon the hummus into a medium bowl. Add a swirl of olive oil, a dusting of cayenne, and a sprinkling of the toasted pine nuts. You can serve it right away, at room temperature, or store it in an air tight container in the refrigerator for up to 5 days. 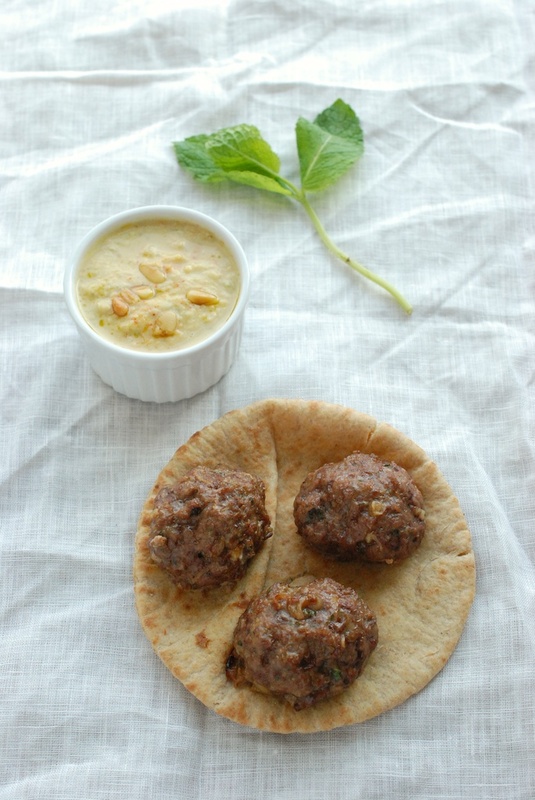 I nestled these meatballs inside whole wheat pitas, swiped generously with fava hummus and lebna. You can try them the same way, or with pasta, salad, couscous, or on sandwiches. 1. Heat the oven to 400F. Line a baking sheet with parchment paper. 2. Thinly slice the shallot, and mince the garlic. Meanwhile, set a non-stick pan over medium-low heat. Add the olive oil, and let it warm up. Add the shallot and the garlic, and saute until fragrant and translucent, 5 minutes. 3. 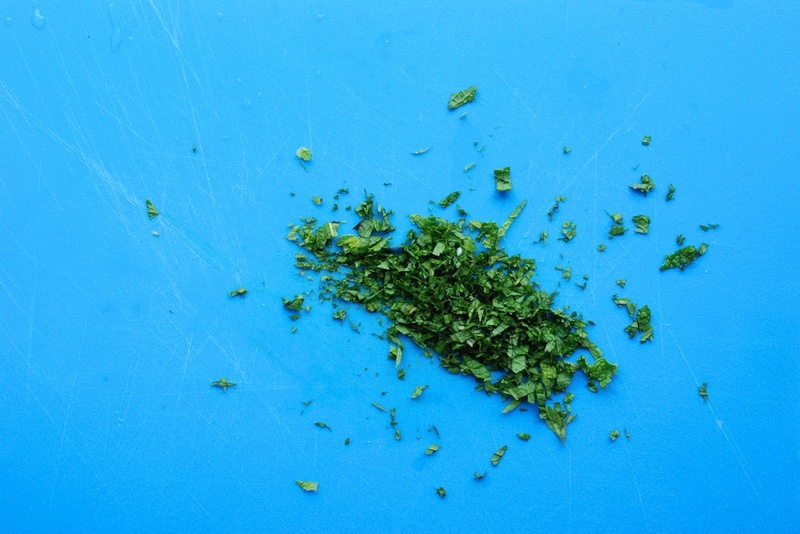 Wash, dry, and chop the mint. Toss it into a large bowl. While you’re at it, add the harissa, the ground cinnamon, and the sea salt. 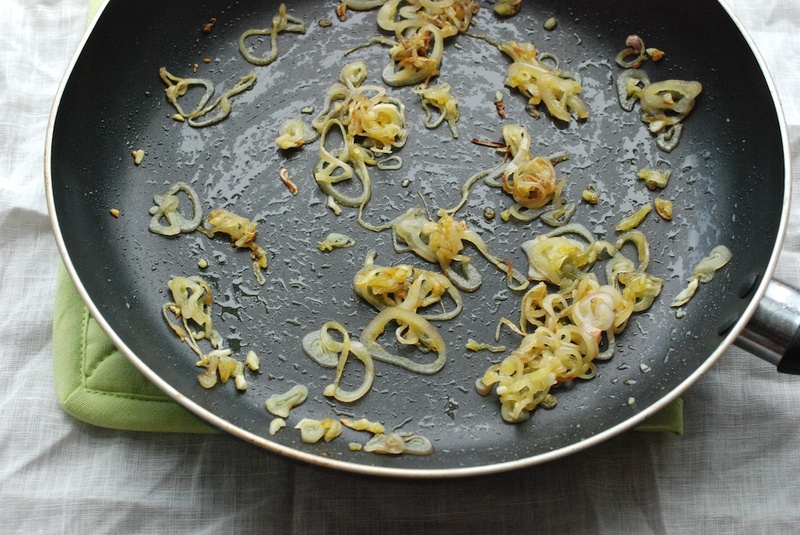 When the shallot and garlic is done cooking, add that too. 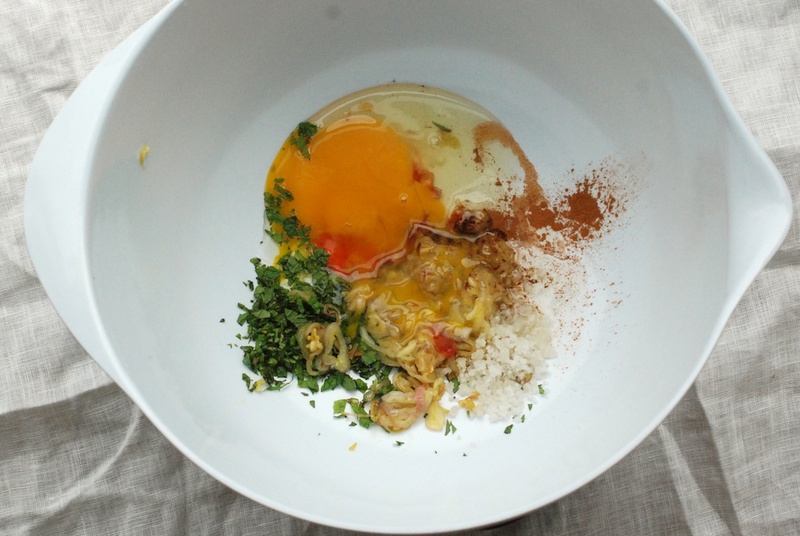 Crack the egg into the bowl, and whisk everything together. 4. Add the ground lamb to the bowl. 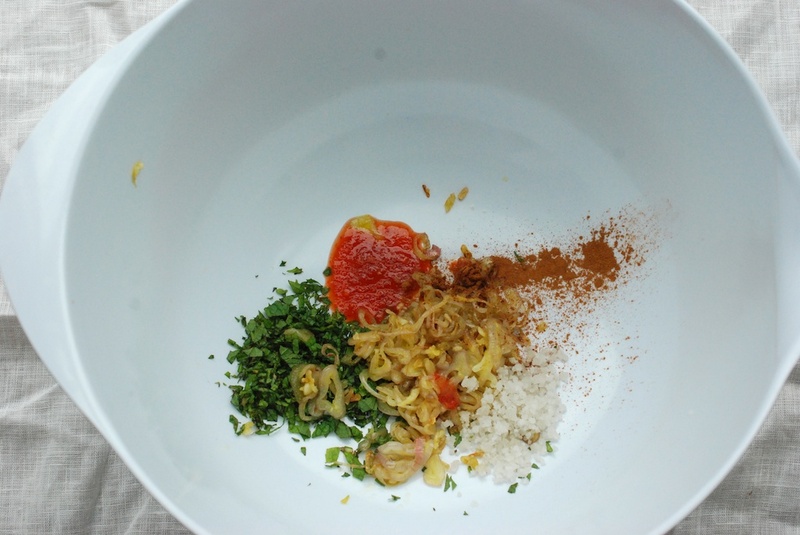 Mix everything together with your hands, just enough so that the meat is evenly wet and seasoned. 5. Roll the lamb between your palms, to form balls about the size of a golf ball. 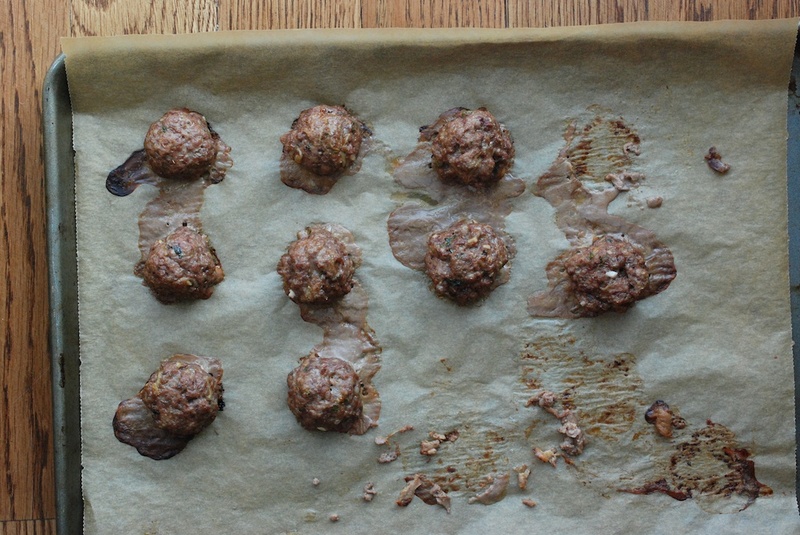 Space the meatballs evenly, about an inch apart, on the parchment paper-covered baking sheet. 6. 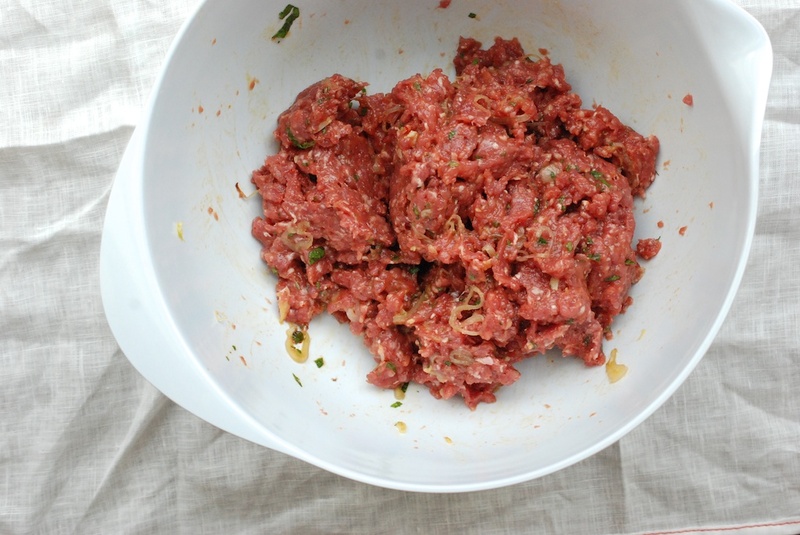 Cook the meatballs for 15-20 minutes, or until the insides are no longer pink. Let the meatballs rest, covered with tin foil, for about 10 minutes before you eat them. 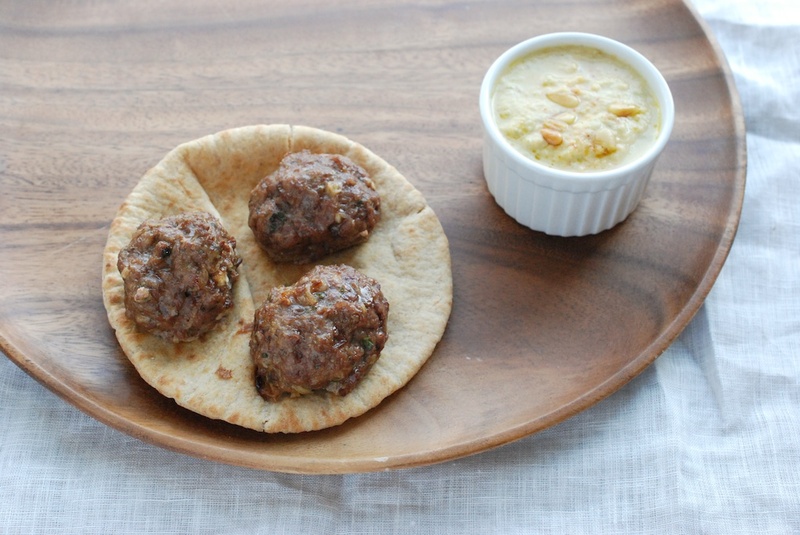 Enjoy the hummus and the meatballs together.